2012 has been a juggernaut of a year for the cinema. With a record-breaking box office year thanks to big blockbusters like The Avengers, The Dark Knight Rises, Breaking Dawn Part 2, and The Hunger Games, ticket sales have been the highest they’ve ever been. However, the quality of films released this calendar year has been excellent, rivaling 2007, my favorite release year in recent memory with There Will be Blood and No Country for Old Men. 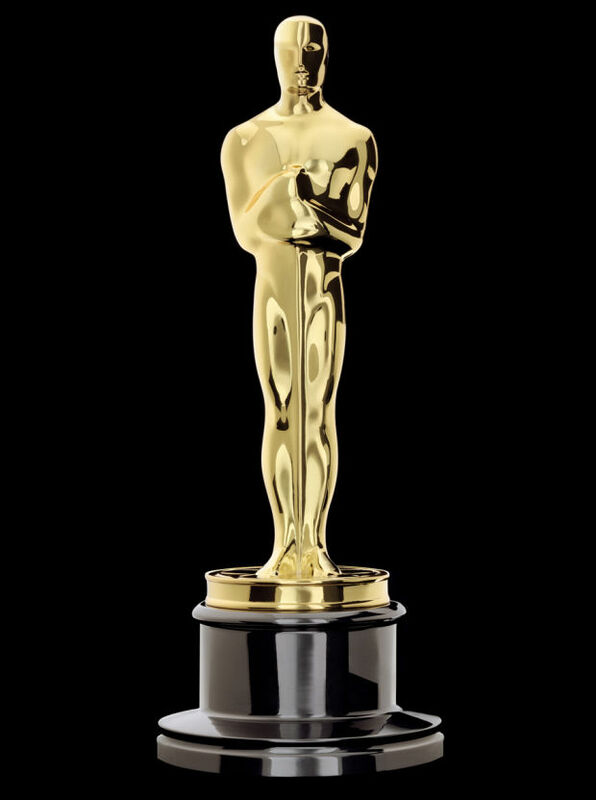 While Oscar nominations will be announced this Thursday, January 10th, a more important announcement is being made right now. 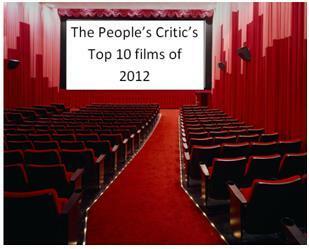 Without further ado, I present The People’s Critic’s Top 10 films of 2012. 10. Moonrise Kingdom – Wes Anderson presents one of the year’s most original films with his coming of age pageant of a film, Moonrise Kingdom. Chocked full of Anderson’s trademark set designs, deadpan dialogue, and Norman Rockwell-on-acid plot, Moonrise is a nearly perfect cinematic experience. Edward Norton’s portrayal of Scoutmaster Ward is hands-down the best part of this movie, but the film is enjoyable from start to finish and welcomes multiple viewings. 9. The Hobbit: An Unexpected Journey – While it lacks the epic quality and complex narrative of The Lord of the Rings films, Peter Jackson’s The Hobbit: An Unexpected Journey is a beautiful and energetic film. The groundwork is truly set for an excellent companion trilogy that is fun, technically impressive, and brilliantly respectful to fans and film lovers. 8. The Impossible – The Impossible is the true story of a family’s disastrous experience during the Thailand tsunami disaster of 2004. Ewen McGregor and Naiomi Watts are the key reasons for this film making the top ten. There are a couple of scenes in this movie where the audience is forced to experience the emotions attached to the most unforeseen natural disaster one can imagine, and it is absolutely raw, heartbreaking, and powerful. Rarely does a film manage to showcase such relatable energy. 7. Flight – Like number 8, Flight is also a ‘disaster’ movie, but a very different type of ‘disaster’ movie. It is an excellent narrative that explores the dangers of addiction in an impressively unique way. This is a strong film that expertly demonstrates the talent of its cast and its director, Robert Zemeckis. 6. The Dark Knight Rises – The Dark Knight Rises is a fitting end to one of the strongest trilogies in cinema history. I think, taken as a whole, what director, Christopher Nolan can be most proud of is that he has captured the attention of a massive audience and taught them that escapist entertainment can be thoughtful and precise. This is miles beyond what any other so-called “comic book” movie has achieved or has even been capable of so far, and thus it deserves special accolades. 5. Lincoln – Lincoln offers plenty for history buffs to sink their teeth into, and yet the story is accessible to all audiences. Director, Steven Spielberg takes some narrative chances to use unknown history to make well-known history compelling and interesting, especially in the film’s final act. Writer, Tony Kushner deserves special attention for some brilliant writing while Daniel Day-Lewis turns out the performance to beat. This is Spielberg’s finest effort in some time. 4. Argo – Argo was the first great movie of the fall season and delivered as both a historical snapshot and an edge-of-your-seat thriller. Ben Affleck certainly has solidified his reputation as a director. Regardless of predictability, Argo is a deeply involving film, and it is a perfect team effort. At its heart, there is a tremendously powerful and amazing story told in an uncomplicated way, which is just what every good movie needs at its core. 3. Silver Linings Playbook – David O. Russell’s movies are traditionally about passion, and none have better successfully illustrated that theme than Silver Linings Playbook. Jennifer Lawrence and Bradley Cooper play Pat and Tiffany, two people full of passion who have lost their way. Both turn out Oscar worthy performances, and it should not surprise anyone if they both win. Furthermore, Russell’s screenplay is excellent as he also manages to give Robert DeNiro something he’s finally worthy of acting in. 2. Life of Pi – Life of Pi is a low-key masterpiece. It sneaks up on you and while not complicated, welcomes multiple viewings. Ang Lee presents a very enjoyable and thought-provoking version of Martel’s widely admired source material. It was said that Life of Pi was one of those unfilmable stories- that it can exist in the mind of the reader and nowhere else. Lee has proven those skeptics incorrect. Furthermore, no film, including Avatar, has achieved this level of visual grandeur with 3D technology. Lee’s careful precision as a director, takes full advantage of every opportunity to amaze the audience with wonder. 1. Django Unchained – Django Unchained is the year’s best film as well as a front-runner for one of Quentin Tarantino’s best films. The cast is impeccable, the script is original, and the style is enjoyable. Few films ever combine such intriguing dialogue with such ambitious storytelling, and the film deserves sincere consideration from the academy in all major categories. It is a difficult film to watch at times, but not a scene is wasted or unnecessary. Honorable Mentions (and an angry side-note) – Films deserving honorable mentions are Looper, To Rome with Love, Friends With Kids, The Avengers, The Perks of Being a Wallflower, and Wreck It Ralph. Also, this was a year that saw a Christopher Walken trifecta as the distinctive and unparalleled actor appeared in three films this year: Seven Psychopaths, A Late Quartet, and Stand Up Guys. On an ANGRY side-note – Year after year, films vying to qualify for Oscar eligibility will open their films in the minimal markets (LA and New York) and then choose some obsequious and noncompetitive weekend in January to open wide to audiences. This year the film most guilty of this is the controversially acclaimed Zero Dark Thirty (An additional film guilty to a lesser degree would be The Sessions with John Hawkes and Helen Hunt). The buzz is that Zero Dark Thirty will be the one to beat, but major film critics and academy members are the only ones who will have seen it before the nominations are revealed later this week. Films should have to be widely released in the year that they wish to be nominated. Audiences should have access to all academy qualified films and an opportunity to share their points of view before the “so-called” powers that be cast their votes. The films listed above all played fair and deserve to be seen and commended. Shame on you Zero Dark Thirty, shame on you! In this holiday edition of “The Weekly DISCussion,” The People’s Critic is recommending two films sure to enhance your season! It is true that this recommendation is partially because I am trying to not go with an obvious choice. However, Die Hard is absolutely a movie that is fun to watch around the holidays. When terrorists take a group of employees hostage during their holiday party, it is up to New York cop, John McClane (Bruce Willis) to save the day. 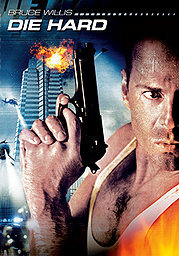 Die Hard is responsible for reinventing the action thriller. With its careful balance of terror, violence, humor, and excitement, Die Hard excels above standard action fare even to the extent of creating an iconic villain in Alan Rickman’s Hans Gruber. With another film in the successful franchise arriving in 2013, cuddle up with your special someone this season and check out where it all began with 1988’s Die Hard. This year saw director Robert Zemeckis return to live action film making with Flight. Zemeckis has spent the last eight years of his career filming three separate, innovative motion-capture animated films, the first being 2004’s The Polar Express. The story surrounds Billy, who is finding it difficult to believe in Santa Claus. Suddenly, he is whisked away on a magical train to the North Pole where his belief is restored. 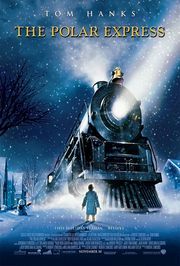 While not a perfect movie, The Polar Express manages to capture most of the magic of the beloved children’s book. The human characters appear somewhat lifeless, but the film does manage to rekindle some of that childish wonder that may have been lost over the years. Director Robert Zemeckis has given us the latest “disaster” movie. In the case of Flight however, Zemeckis’ first live-action film since 2000’s Cast Away, this is less the Die Hard kind of “disaster” and more the Leaving Las Vegas type. Zemeckis is a well-known director, whose films have peppered the pop-culture lexicon for the past 35 years. He is a pioneer who took Marty McFly Back to the Future, taught Forrest to run in Forrest Gump, and broke new ground in live-action/animation film making with films like Who Framed Roger Rabbit, Beowulf, The Polar Express, and A Christmas Carol. 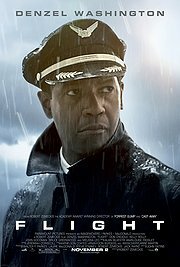 This year, Zemeckis showcases his craft with a strong character study of a disturbed pilot in Flight. The intensity and effectiveness of Flight rests on the shoulders of its star, Denzel Washington, and it turns out Denzel Washington has some pretty strong shoulders. Washington dives head first into the character of pilot Whip Whitaker (a classic “pilot” name). Whitaker is a closeted addict, shrouded in denial. He routinely drinks to excess and uses stimulants to even out before flights. His lifestyle has cost him virtually any relationship or contact with his wife and son and has led him down the path of womanizing and heavy substance abuse as a desperate form of distraction. Flight sets out to tell a story of moral ambiguity. Its protagonist is one who tests the ethical boundaries of the audience where at one moment we are rooting for him and the next, we are disgusted by him. This ambiguity fuels the pace and power of the film, and makes its 138 minute running time literally “fly” by. Washington is excellent, but Zemeckis is precise in his style, editing, and (yes, Pam and Eric) in his cinematography. Washington makes us see Whitaker’s struggle, but Zemeckis makes us feel it with expert use of camera movements, showing us a static sober Whitaker and a flowing, frantic intoxicated Whitaker. The crash sequence is compelling and exceeds expectations, regardless of its assumed predictability. These nuanced touches make Flight deeply engaging and provide for some harrowingly primal audience reaction.